Happy Super Hangover Day! [As I dubbed it last year, anyway.] Apparently 1.4 million people will try and call out sick today. Luckily I get to lay in bed all day and recover from this food hangover. Instead of going over everything all the other websites are recapping, I shall share with you how I celebrated Super Sunday, and my favorite moments of the game and the aftermath. I had a couple people over for a homemade pizza night with some snacks and 6 different kinds of beer. [Each person brought a different kind, it was neat!] 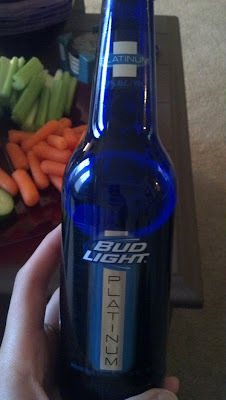 My choice: the new Bud Light Platinum. You better believe I felt really freakin' cool every time those commercials came on. Plus! The bottles are so pretty! I can't wait to make things from Pinterest with them! It was REALLY good. People couldn't stop scarfing it down. I did have a little leftover this morning, and the beer flavor was twice as strong as it was last night. 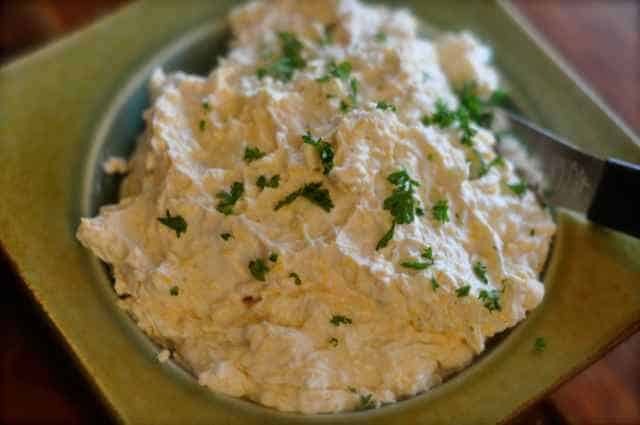 So if you do make it, and you want the beer flavor stronger than the cheese, keep that in mind. That's an olive, pepperoni, and pepper pizza, a barbeque chicken and pineapple pizza, a buffalo chicken pizza, and your average pepperoni pizza. All of them- SO GOOD. As for the game- I'm pissed. I was definitely rooting for the Patriots, but whatever. We won't get into that. 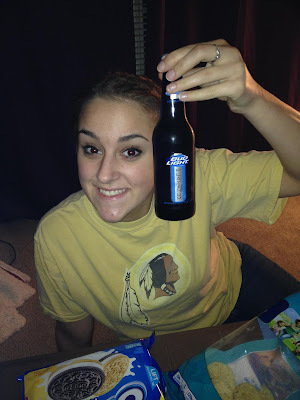 The commercials: I'm kinda obsessed with the "Here WeGo" commercial for Bud Light. I'm also super pumped for the new M&M. She is SASSY! And the alcohol may have helped, but we totally LOL'ed at this commercial. And then there was Madonna. Ugh. What a let-down, right?! It could have been so epic, but, it just wasn't. I think the dancers were more epic than her, her fall, or MIA's stupid, selfish finger. Now, before any of us get entirely too sick of one of the greatest American holidays, I need to go wake-up my roommate and take care of my house's hangover. Hott damn it's a mess down there. 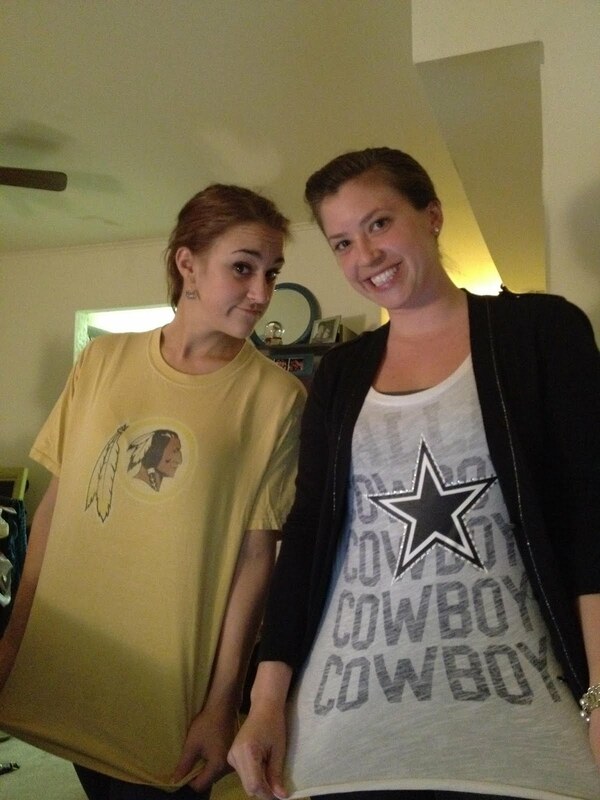 PS: If you wanna ruin your day with the most awkward picture of the Super Bowl, click here.